This new fork is based on the Step-Cast fork and likely features 30mm of travel. A few weeks ago, the internet was buzzing with rumors of a new gravel/CX fork from Fox. Now a new photo has emerged on social media that offers more insight. The new fork, which has decals that read Adventure Cross (AX), appears to be based on the Step-Cast platform, which in mountain bike form weighs just under three pounds and features 100mm of travel. Learn more about the Fox Step-Cast cross-country mountain bike fork. For the AX version, our guess is that they have used a 27.5 chassis, which should easily clear a 40C tire. The travel also appears to have been reduced to roughly 30mm. 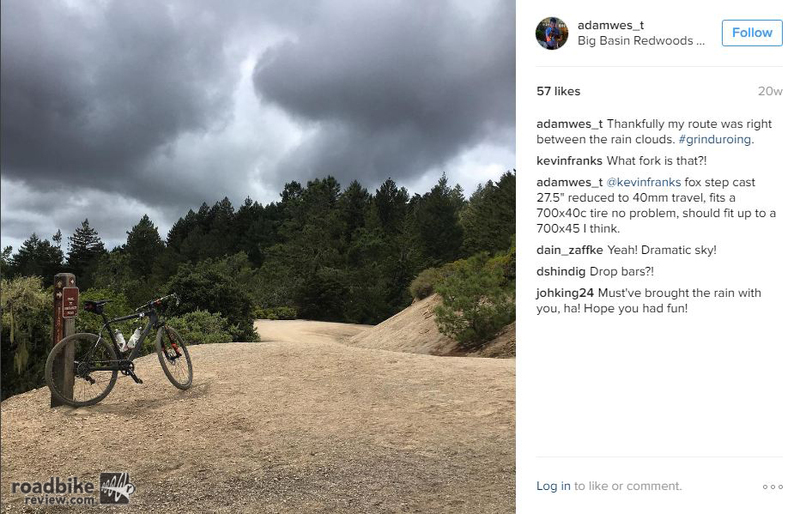 Weight will probably be similar to the MTB version, though Fox could have shaved additional grams by producing a damper/air spring optimized for shorter travel. No word on pricing yet, but here is what the Fox Step-Cast goes for. If pricing for the existing Step-Cast is any indication, the AX will retail for between $619-$1569 depending on the damper and stanchion coating. For comparison’s sake, an ENVE Cross Disc Fork weighs a claimed 460g and retails for $542. The Lauf Grit, which has 30mm of undamped travel, weighs two pounds and sells for $790. This look is going to take some time to get used to. We’ve seen Step-Cast forks floating around on CX bikes for the past few months, but this is the first time it’s looked ready for prime time. 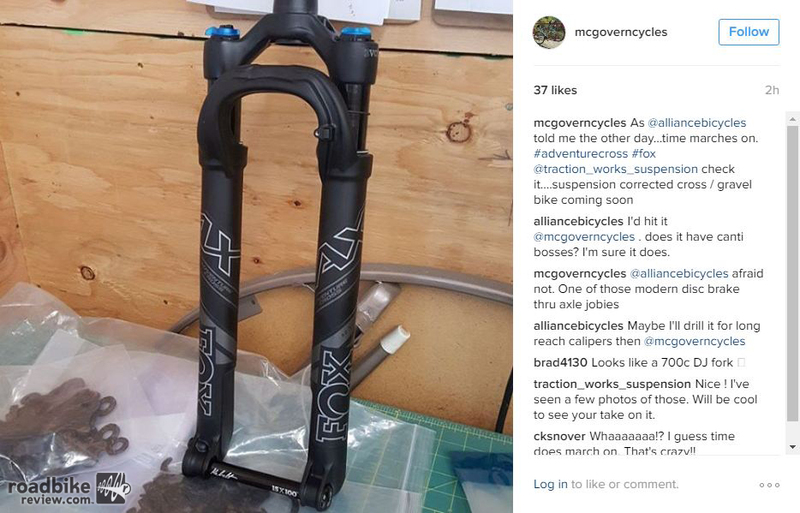 Based on how Fox has previously launched products, we expect the new fork to be officially unveiled at the Sea Otter Classic in late April. However, a number of samples will likely be on display at the North American Handmade Bike Show in Utah in mid-March. The new CX fork is based on the Step-Cast fork and likely features 30mm of travel. This look is going to take sometime to get used to. Cross, Gravel or Road Bikes: Which Is Best For Riding Dirt?